With endless parties to attend, presents to buy and mouths to feed during the festive season, we could all benefit from a little extra cash this time of year. Thankfully, with Rank Advancement Bonuses, your business and your wallet win. The Cycle Bonuses are broken into two payments. You can earn a total of US$500with the 5-Cycle Bonus. 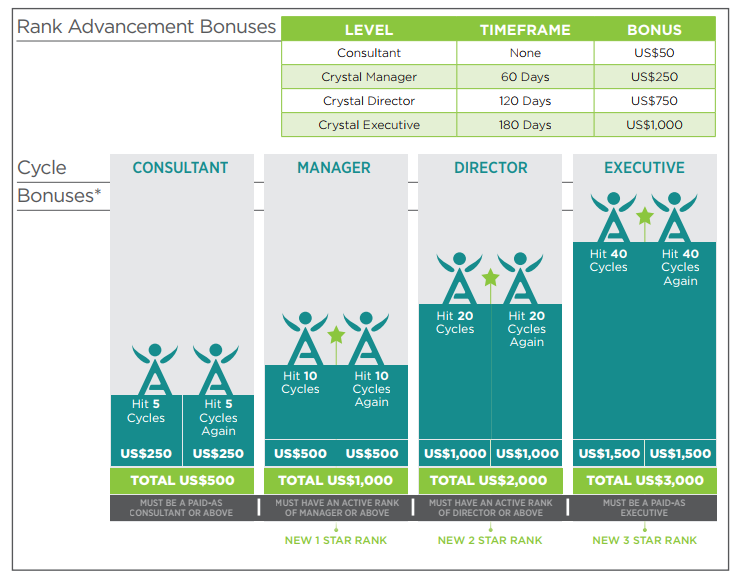 You earn the first US$250/CA$277 the first time you achieve BOTH Paid-As Consultant AND earn 5 cycles in a commission week. 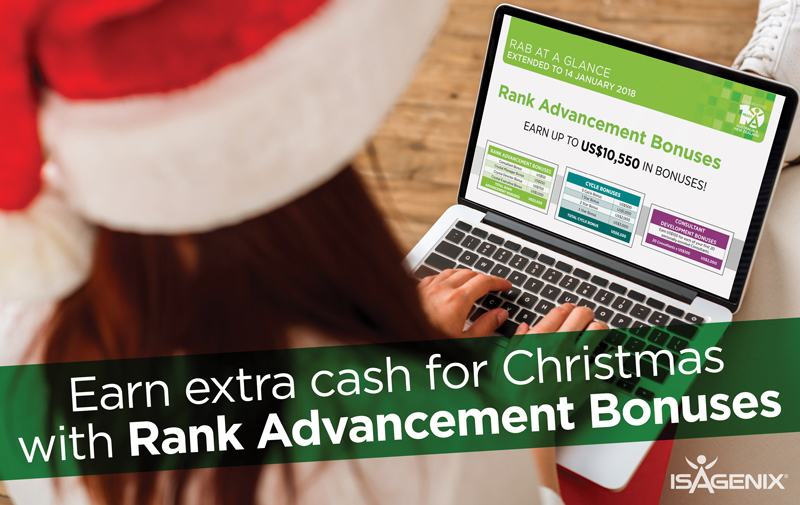 For more information on how you can earn extra cash through Rank Advancement Bonuses, check out the flyer here.